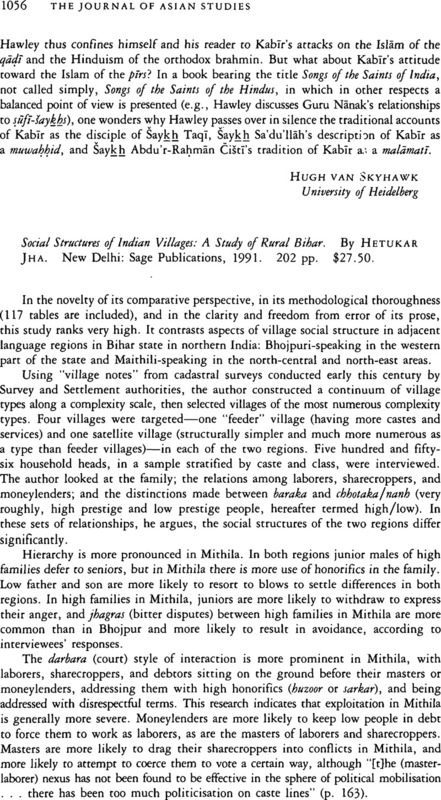 Social Structures of Indian Villages: A Study of Rural Bihar. By Hetukar Jha. New Delhi: Sage Publications, 1991. 202 pp. $27.50.